Our apartment is on the 7th floor of an 8 floor building in a good suburb of Tel Aviv, 5 minutes by car from the beach. From one window you can see the sea. 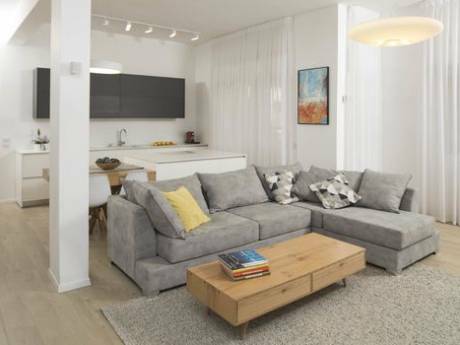 The apartment was fully renovated and is light and modern. We have 4 bedrooms, all with cable TV. 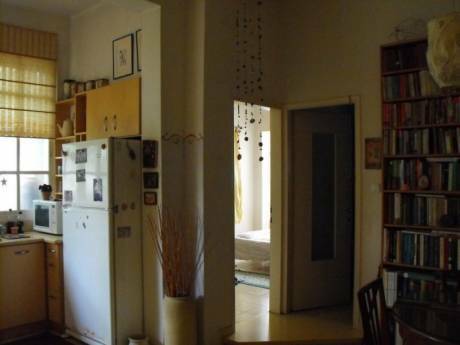 We have an open plan fully fitted kitchen with a bar to eat informal meals. There are three bathrooms with showers and toilets and one bathroom has a bath. We can offer internet access and playstation for children. We have 2 cats so we would like a family who likes animals and would be prepared to feed our cats. The apartment is fully airconditioned. We can offer the use of an automatic 5 seater car.Although we don't have a garden, the apartment is right next to a park with swings, slides, sand pit for children. We are a family of 5, two lawyers and 3 children aged 15, 13 and 7. We are a non-smoking mainly vegetarian family who love animals. This will be our first house swap. 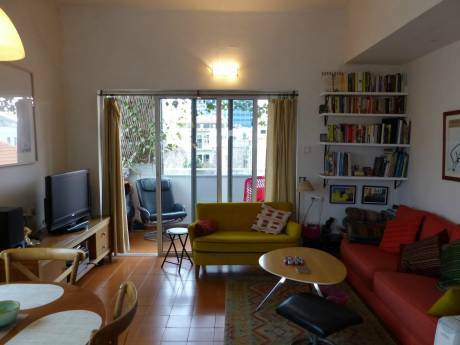 The apartment is located in one of the modern northern suburbs of Tel Aviv. The beach is 5 minutes by car, there is a public swimming pool just across the road. A supermarket and shopping centre are within walking distance and there is a park just next to the apartment. A large mall and cinema complex are 5 minutes away by car. As Israel is a small country, most attractions are a short drive away. For example it is 45 minutes from Jerusalem. Tel Aviv is known for its night life and there are lots of restaurants and clubs.